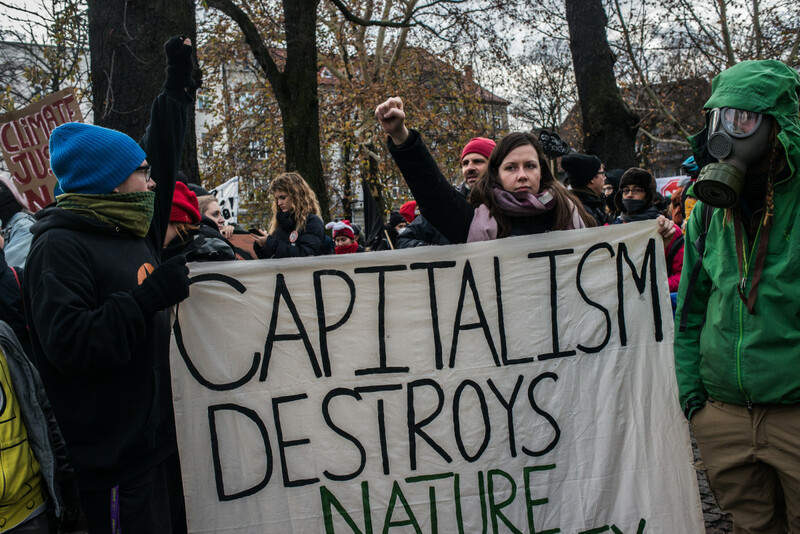 Environmental protesters from France take part in a march to call for the political and economic reforms needed to combat climate change at COP24 on December 8th, 2018, in Katowice, Poland. Climate activists gathered at the United Nations climate conference in Katowice, Poland, on Tuesday to call out the oil company Royal Dutch Shell for decades of environmental abuses. The protests occurred days after a Shell executive claimed the corporation had a hand in shaping the Paris Agreement. Only member states of the U.N. 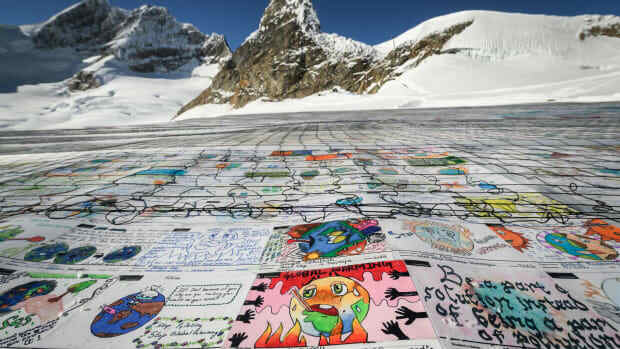 Framework Convention on Climate Change are meant to have a say on the text of the Paris Agreement or the implementing rulebook that delegates are currently finalizing at COP24. But at a side event last Friday organized by the International Emissions Trading Association, a business lobbying group, Shell&apos;s chief climate change adviser said the company could "take some credit" for the inclusion of Article 6 in the Paris Agreement—a critical provision of the accord, which enables countries to trade emissions reductions via, say, carbon markets. "We put together a straw proposal. 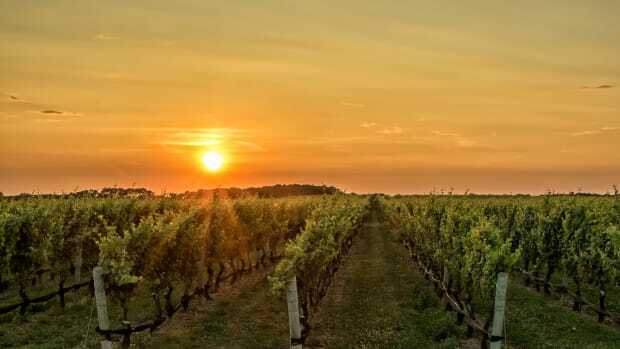 Many of the elements of that straw proposal appear in the Paris agreement," the chief climate change adviser, David Hone, said last week. Hone went on to say that the corporation "had been chatting" with delegations in Katowice, indicating the industry giant could be influencing the negotiations once again. "We put together another straw proposal for the rulebook, and we saw some of that appear in the text," he said. "This is a high-consequence negotiation, it&apos;s the future of the planet, and to even have the possibility that fossil fuel corporations are shaping the outcomes should be as alarming as the IPCC report itself," says Jesse Bragg, the media director at Corporate Accountability, a non-profit that tracks industry influence over policymaking. "If we don&apos;t get this right this time, we have no other option." On Tuesday, a small group of protesters from environmental groups including Friends of the Earth, Health of Mother Earth Foundation, and It Takes Roots gathered near the IETA pavilion to protest what they say are the oil giant&apos;s attempts to "greenwash" its environmental record at the conference. Just last week, Shell announced new short-term emissions reduction targets, for example, and said it would link executive pay with meeting those goals. On Tuesday afternoon, another Shell executive was scheduled to speak at the IETA pavilion about technological solutions for decarbonization. But these actions, the activists say, do not make up for the environmental harms the company has caused around the world. "I represent communities in the Niger delta who are impacted by these big polluters, who claim to be a saint at COP but are having devastating impacts on communities," Rita Uwaka, the forest and biodiversity program officer with Friends of the Earth&apos;s Nigeria branch, told the crowd. "It is hell on Earth.... Oil spills are everywhere, polluting our water and our environment." "This company is committing corporate crimes against against frontline communities, and it is also committing climate crimes against us all," said Sarah Shaw, also with Friends of the Earth. That&apos;s why, Shaw said, the organization&apos;s Netherlands office is taking the Dutch company to court and arguing that, as far back as 1986, Shell was aware that fossil fuels were likely to cause catastrophic climate change. The lawsuit cites an internal document from Shell that year that stated, "It is possible that the environment will be affected to such an extent that some parts of the earth may become uninhabitable." According to Shaw, in a video made by Shell in the 1990s, the company said it "anticipates the threat of a public-interest lawsuit against us at some point in the future." The protesters could not mention the oil company by name because of a U.N rule around "naming and shaming," says Corporate Accountability&apos;s Bragg. But Felicia Teter, a youth activist from Yakama Nation, says that focusing on industry impacts more broadly is also helpful. "There are many companies who are participating in the extraction and destruction of mother earth," she says, "and we are here to stop all of them." As an anti-pipeline activist, Teter told the crowd that the impacts go beyond the environment. "When pipelines come into our homelands, it doesn&apos;t just affect our water; it doesn&apos;t just affect our air; it doesn&apos;t just affect our food; it doesn&apos;t just affect our bodies," she said. "Also our women go missing. Our people go missing." Civil society and many developing countries have been raising concerns for years that corporations wield too much influence over the UNFCC, but calls thus far for the U.N. to adopt a conflict-of-interest policy have been largely ignored. This week, as negotiations over the Paris rulebook grind slowly forward, Shell&apos;s influence over Article 6 is particularly "alarming," Bragg says, "because it&apos;s one of the fastest-moving components of the Paris rulebook right now." Article 6 will allow parties to transfer the benefits of mitigation efforts—in other words, emissions reductions—to one another, using market mechanisms. 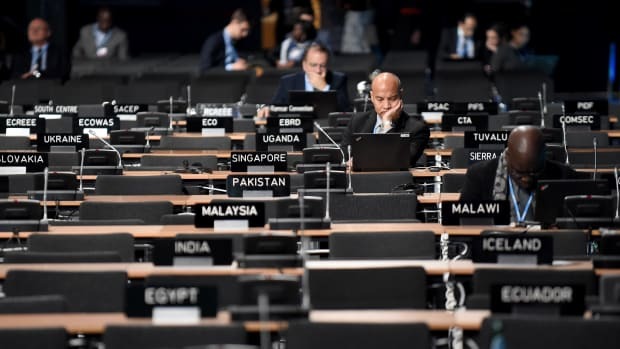 The goal is to allow countries to cooperate to meet their Paris Agreement pledges, but negotiators still have to decide on the details of those markets, including the the eligibility criteria for carbon credits. A poorly designed carbon market could undermine the Paris Agreement. "We know that some of these markets have had huge shortcomings and don&apos;t represent real emissions reductions," says Gilles Dufrasne, a policy officer with Carbon Market Watch. 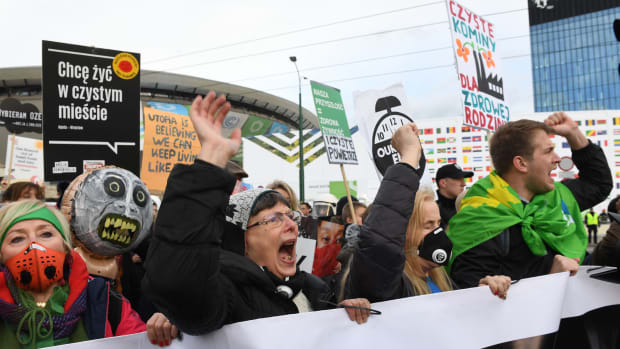 The Clean Development Mechanism, the market-based tool that came out of the Kyoto Protocol, actually led to increases in global greenhouse gas emissions, according to an open letter that Carbon Market Watch and other civil society groups sent to the UNFCCC, calling on the body to phase out the market ahead of the implementation of the Paris Agreement. In the European Union, emissions rose by some 580 million metric tons, thanks to the inclusion of "junk credits," the letter states. Some of the emissions reductions projects included in the Clean Development Mechanism even violated human rights, Dufrasne says, by exploiting indigenous land and resources and displacing communities. "What Article 6 will allow them to do, if Shell gets their way, is for developed countries to continue to pollute and just pay someone else to deal with the consequences," Bragg says. "It&apos;s all an attempt to avoid having to do the real hard work, which is cutting our emissions and transitioning to renewable economy." 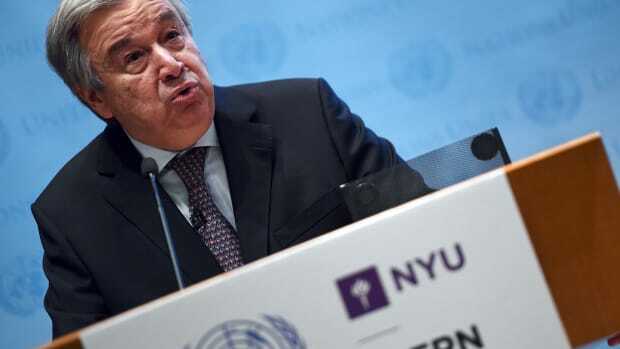 On Tuesday, United Nations Secretary-General António Guterres made the nationalist case for remaining in the Paris Agreement.